After I presented the main Tallinn sites , let me introduce you two exciting routes for day trips in Estonia, outside Tallinn. Those routes are similar in a sense they both include an ancient castle and a waterfall … I adore waterfalls and each time I go anywhere I look for a waterfall 🙂 to visit, if any. 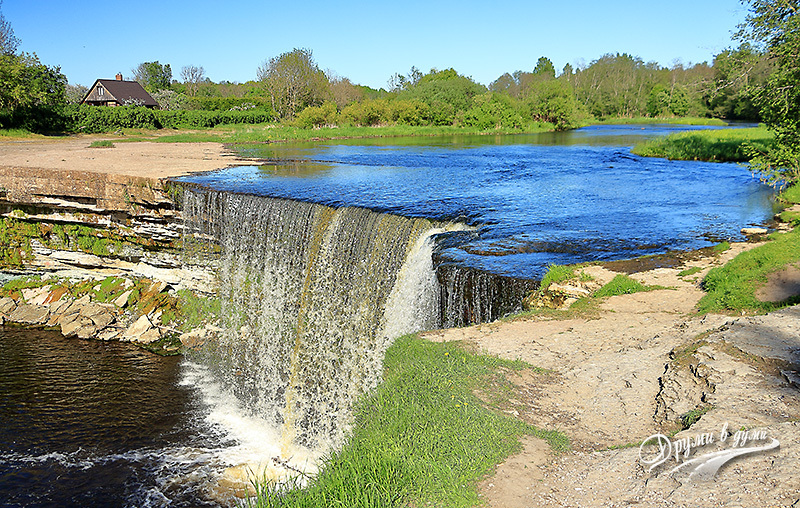 The first route is east of Tallinn and includes the Rackere Castle and the Jagala waterfall. The second one is in the opposite direction – west of the Estonian capital – and includes the Keila Falls, the Medieval Monastery of Padise and the Haapsalu Castle. Below is a description of the places. I am going to introduce them to you in the order we have seen them. 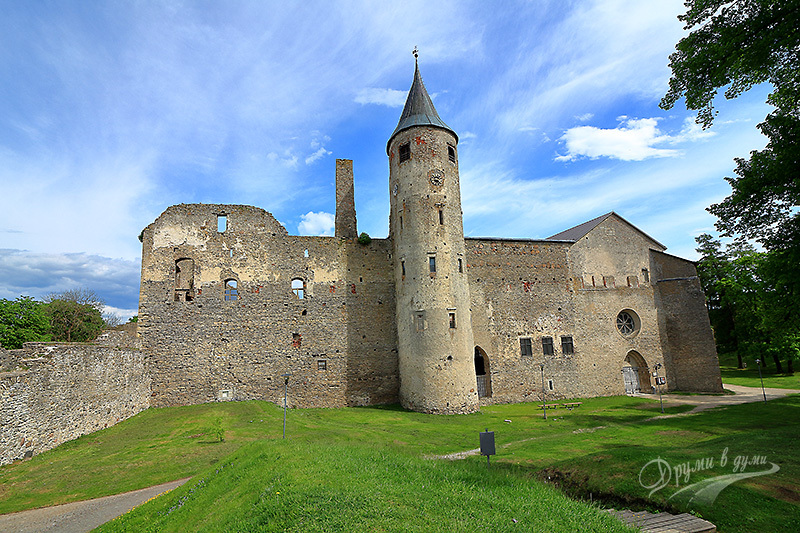 The castle is about 100 kilometers east of Tallinn and it is located near the town of Rakvere. You can reach the castle by car for about an hour and 10 minutes (from Tallinn). 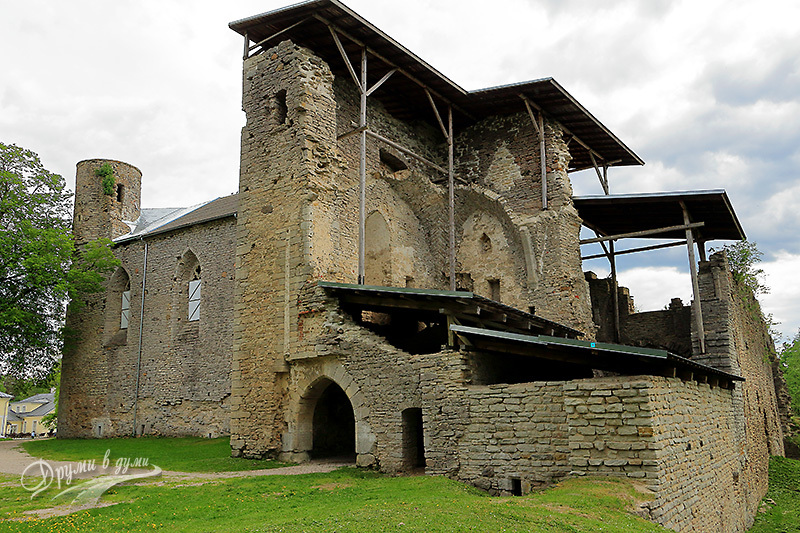 The Rakvere castle was built between 14th-16th century and during the years it was under different rules – Danish, German, Russian, Swedish and Polish. Despite the fact the castle was partially destroyed during the Polish-Swedish War 1602-1605, the surviving part of the castle was used after this war. The first explorations and conservations of the fortress date back to 1901-1902. More extensive studies of the area began after 1975. 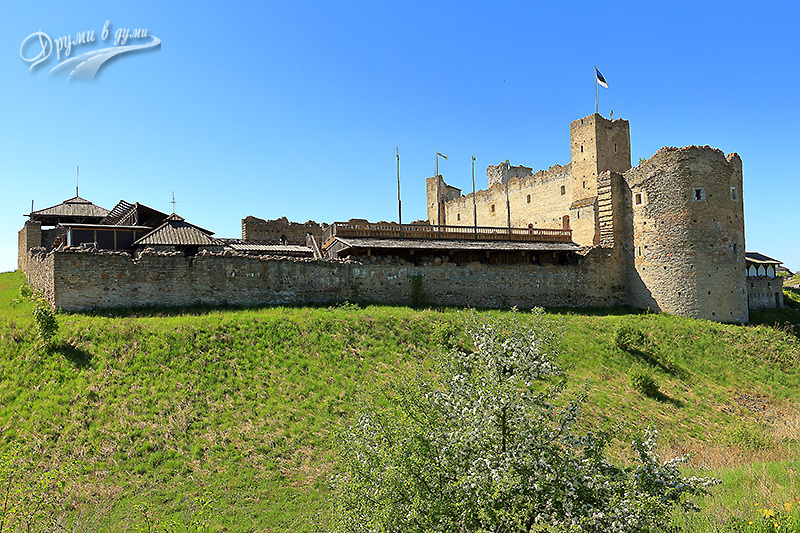 Today, Rakvere Castle is an interesting tourist attraction that represents real life in 16th century. There are internal and external yards, several large rooms and a special corridor with 3 rooms, called Rooms of death. Those three halls open once an hour, but be careful – they are not suitable for people with weak hearts and nerves 🙂 . In the first hall you can see medieval methods for punishment. The second room is dedicated to one of the greatest medieval fears – the plague, which was more terrible than death, because it was believed that if a person died from a plague, he could not go to Heaven. The third hall is the culmination – a real demonstration of the Hell itself, where those tourists that survived the first two halls must pass in order to get outside. The visitors pass through narrow corridors, quite dark, occasionally flashing bloody lights and monsters popping up, in addition, the floor is uneven and in some places fails. A great attraction worth testing it, indeed 🙂 ! 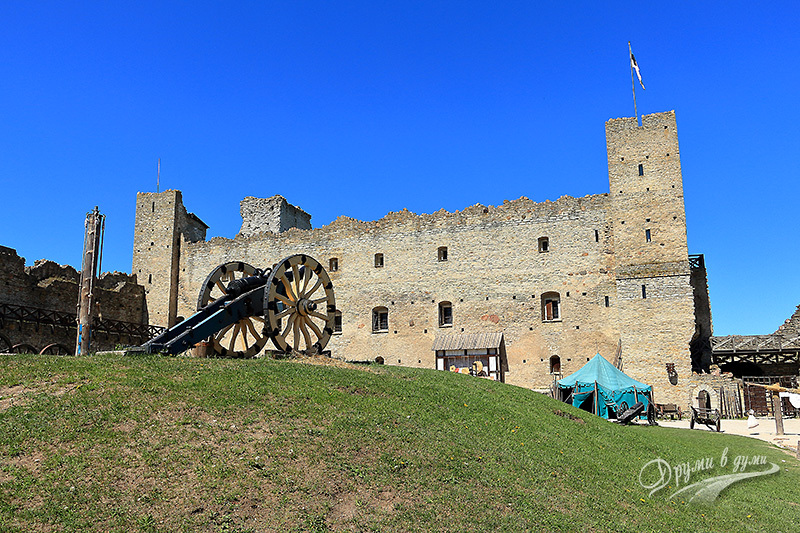 It is also interesting to go around and see the entire Rakvere Castle outside. One more thing, quite interesting – there is a bronze statue of a bull at the entrance of the castle. 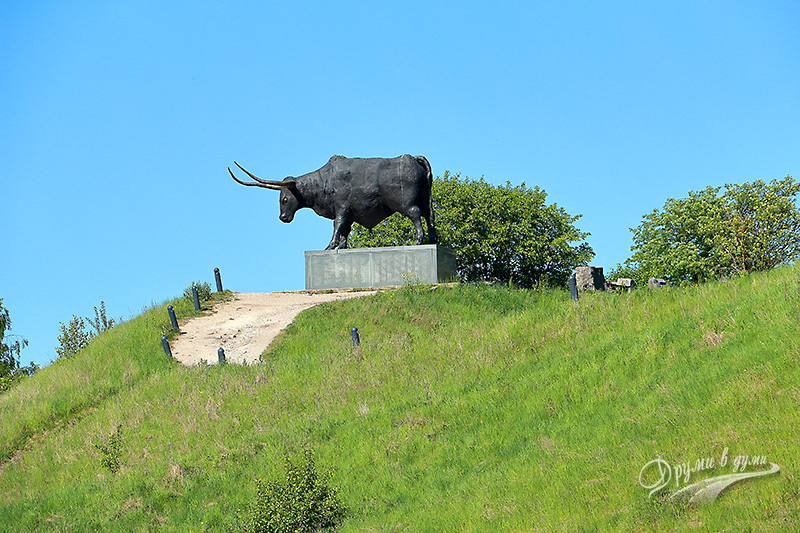 The statue was made by the Estonian sculptor Tano Kangro and it was believed to be the largest animal statue in the Baltic countries. After the attractions at Rakvere Castle, we headed to the Jagalla Falls. On the day of our trip we had chosen to visit the farther destination, Rakveare, and after on the way back to Tallinn to visit the waterfall. 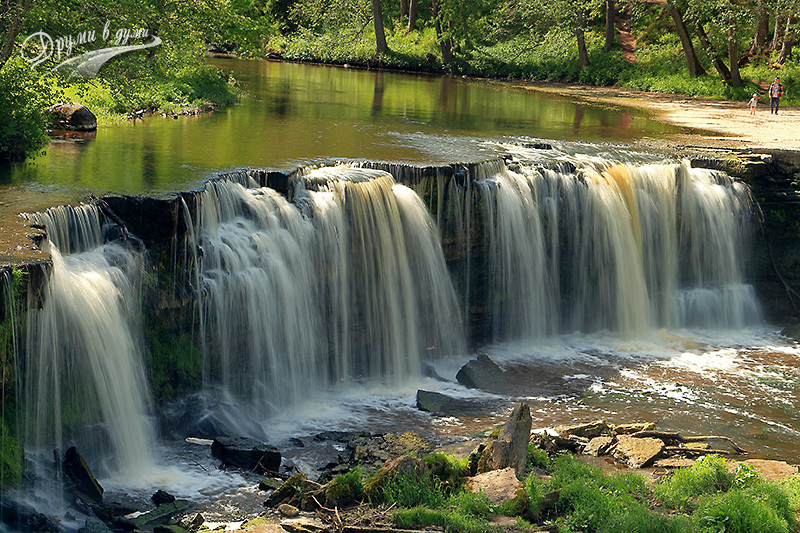 The Jagala waterfall is located about 30 kilometers east of Tallinn. It is reachable by car. 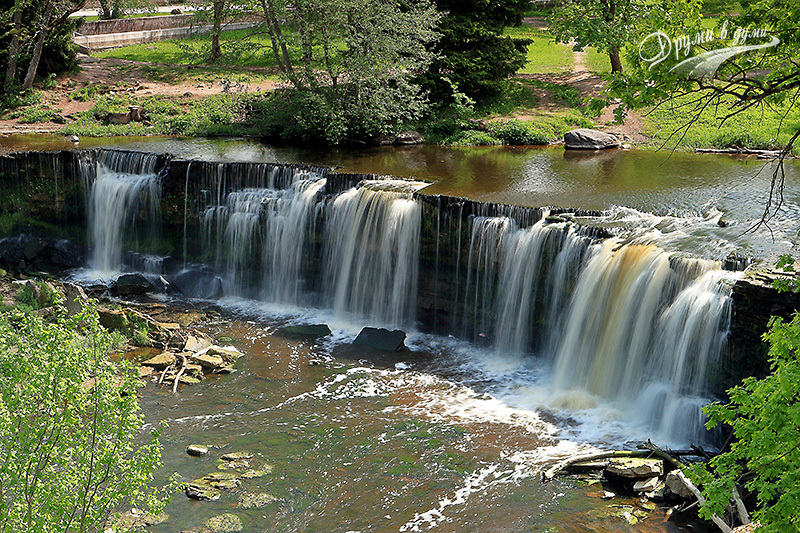 You can look at the waterfall on both banks of the river, although the approaches are different. There are good road signs in the area. The Jagalla waterfall, on the river Jagala, is about 8 meters high. It is beautiful and so impressive – it is quite wide. According to the information board it becomes up to 70 meters wide in a period of freshet. The waters of the Jagala waterfall fall from a wide stone visor under which there is a cavity. You can climb up the visor – when it is not flooded, and also you can pass under it. This was our first day trip outside Tallinn. The next 3 places make up the second route we went the day after. This day, unlike the previous one, we started with the closest destination of the planned – Keila Falls. Keila waterfall is on the river Keila. The area around is turned into a pleasant park for a walk. The waterfall is reachable by car, and there is a parking lot nearby. The parking lot is very close to the top of the waterfall on the right bank of the river. From the top there are stairs that lead to the foot of the falls. The Keila River is very wide and, although part of its water is captured for industrial purposes, it is abounding in water, and thus, the waterfall itself is lush and powerful. While we were admiring the waterfall on this side of the river and quietly shooting it from everywhere, a lot of people were coming to see it, but they were leaving quickly. Near the waterfall there are two bridges that lead to the other bank of the river. On the left bank there are also good view points to the Keila waterfall. 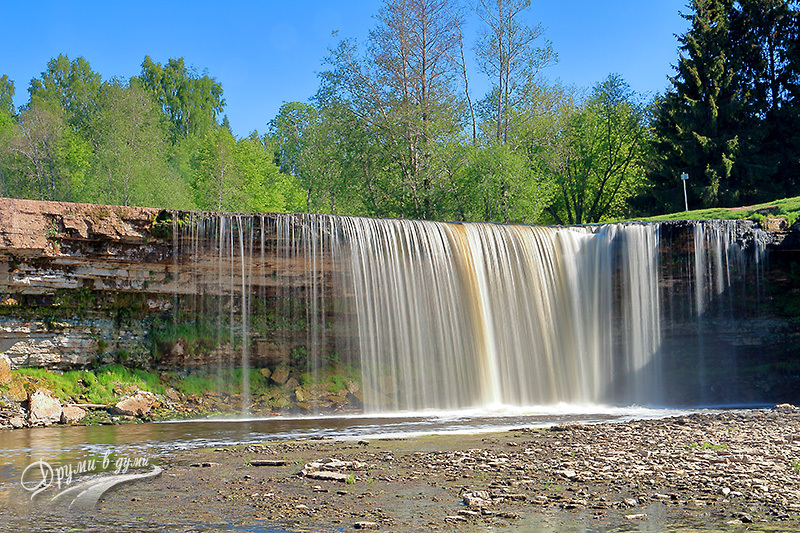 Keila waterfall is located about 31 km west of Tallinn and can be reached by car in about 35 minutes. 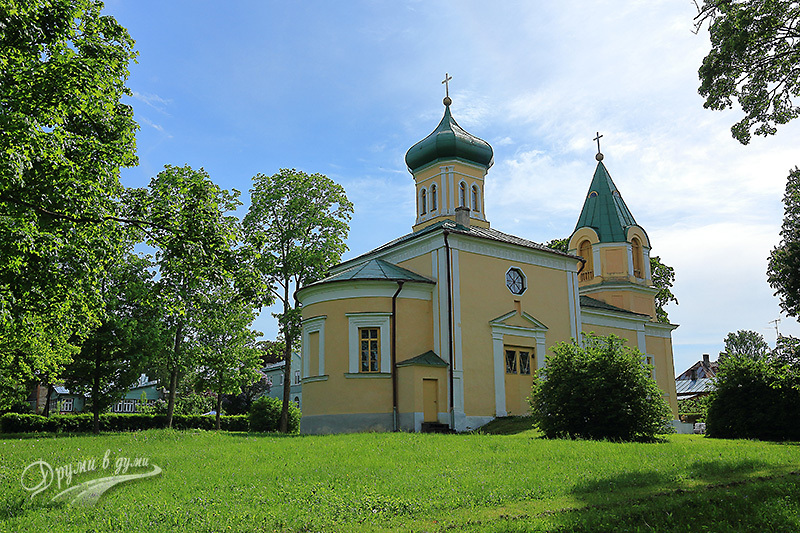 While traveling from the Keila waterfall to Haapsalu, we encountered an unexpected finding – this was the Medieval Monastery of Padise, as we read from the information board. The monastery was still in a period of restoration and was apparently not officially opened as a tourist site. For this reason, our visit was absolutely free of charge 🙂 . Anyway … We took the opportunity to look at such an old monastery. As we learned from the information board, the Padise Monastery was built in the beginning of the 14th century by Cistercian monks, whose practices predominate with strictly asceticism. Once built, the Monastery of Padise was grown and developed in a long period of about 200 years, but after it was destroyed, because of wars. The monastery looks like a fortress. We managed to explore almost the whole monastery. It was so curious… There was a river flowing to one of the fortress walls outside the monastery, so there were swarms of insects. Inside the rooms there were a few pigeons. Interesting place. The remains of the Padise Monastery are located about 32 kilometers southwest of the Keila Falls or about half an hour by car. The impressive stone walls of the monastery are visible to the right of the road. The castle is located in the town of Haapsalu, about 55 southwest of the Padise Monastery, which normally takes about 45 minutes by car. Well, we went for a lot more time, because a large stretch of the road was in repair. This part of Estonia is much more rugged and not so flat, unlike the other regions we passed through. If you decide to go directly from Tallinn to Haapsalu, you will travel about 100 km that would take about an hour and 20 minutes. Haapsalu Castle is located in the central part of Haapsalu. The castle is reachable by car. There is a free parking available in front of it. 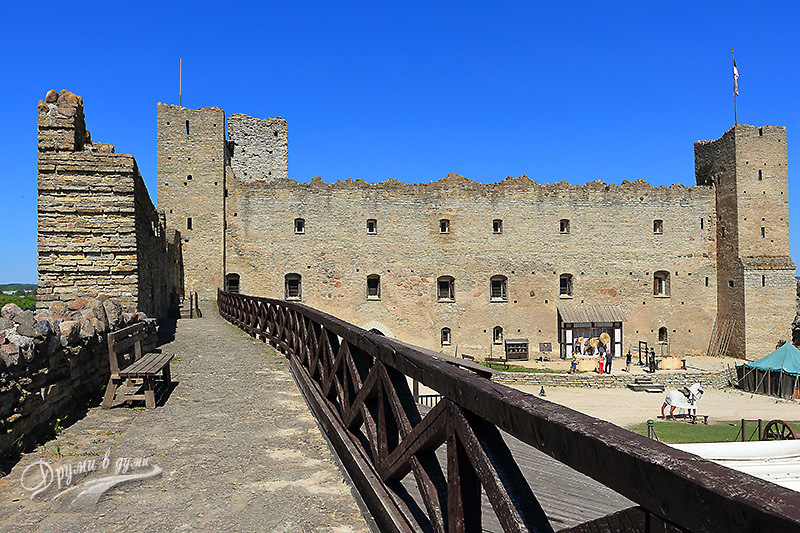 The entrance of the Haapsalu fortress is free of charge. It is used as a city park. The place is very pleasant. There is an impressive stone cathedral inside the castle. The entrance to the cathedral is not free of charge, as we understood. When we were there, the cathedral was in repair and we could not get to see it inside. We examined the cathedral outside only. We walked along the fortress walls. Then we left the fortress and headed for the sea. We went along the so-called Old Town – a very pleasant neighborhood with buildings of King Peter the Great’s times, most of them wooden. There were two interesting churches, a Protestant and an Orthodox one, close to each other. When we reached the coast, we were impressed by the beauty of the landscape. The area along the coast was made a cool park for walking. There was a small beach nearby. 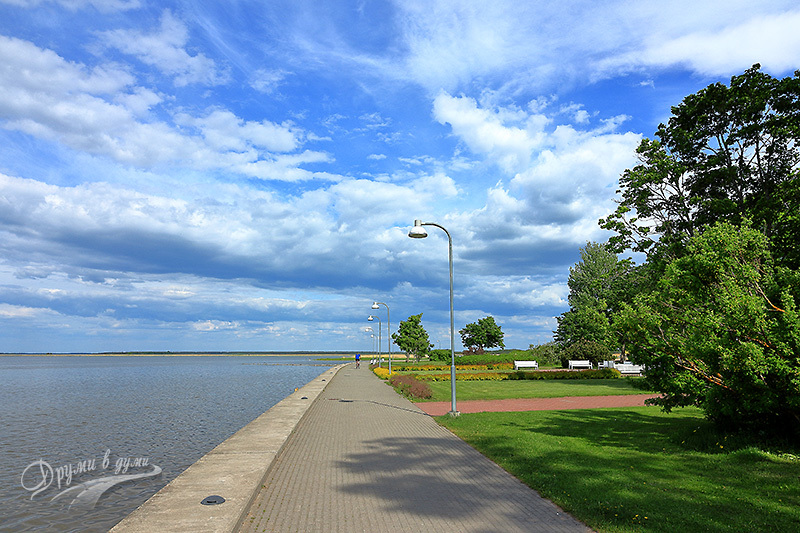 Haapsalu is a quiet town and there are not many tourists. We liked the town very much. This was the second day trip from Tallinn in Estonia. More information about Estonia can be found on the official tourist website www.visitestonia.com. We are very delighted of the opportunity to visit Estonia. I recommend it to you as a less known tourist destination!